Charlie Montoyo. Photo by Tom Szczerbowski/Getty Images. The Toronto Blue Jays have hired a new manager to replace John Gibbons. Charlie Montoyo, 53, will be the new man to lead the rebuilding team. 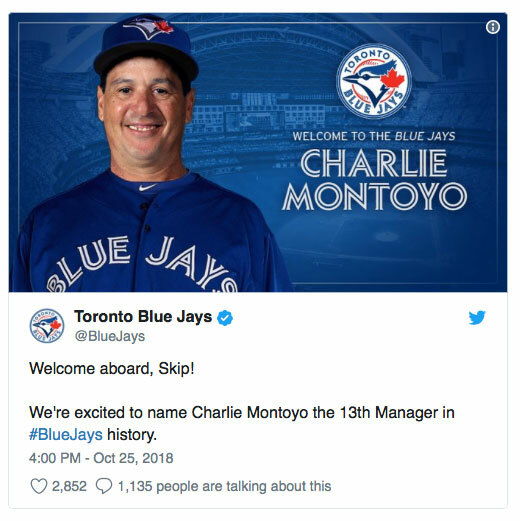 “Charlie is a highly regarded leader by so many individuals in the game and we were thoroughly impressed by his experiences and approach,’ said Blue Jays’ GM Ross Atkins. 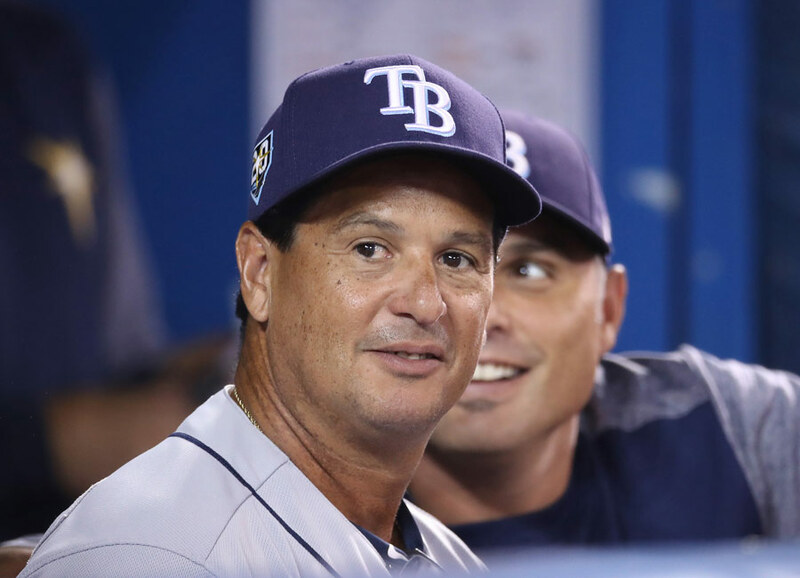 Montoyo was a career minor leaguer, both as a player (in 1993, he appeared in four games for the Montreal Expos) and a manager (he toiled for years in the Tampa Bay Rays organization). In assuming the leadership role, Montoyo replaces the loveable John Gibbons, who, in his second time around as Blue Jays’ manager, twice led the team to the post-season. But after a posting a 73-89 record last year, Toronto management felt Gibbons was too old school and wouldn’t be able to develop young players. GM Atkins, who said he wanted his new bench boss to be “tough, smart and passionate,” thinks he has found his man. Montoyo, who was born in Puerto Rico, has a reputation for managing young talent, a must for a team with 19-year-old Vladimir Guerrero Jr. certain to play at some time next year. The other bonus is that he speaks Spanish, which was considered a must on this team, which will be well-stocked with Latino players.